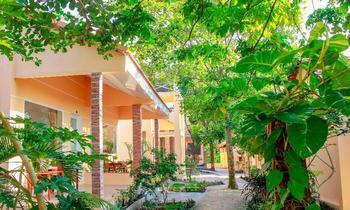 Situated in the midst of a large area in Duong Dong town - the center of Phu Quoc island, Moon resort is one of the popular spot travelers always choose to stay when visiting the island. This is a new resort, so all of the facilities are new and we guarantee that you will feel comfortable here. Located between Duong Dong Resort and Kim Hoa Resort. 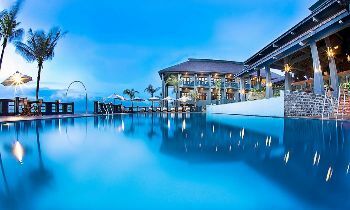 Just 10 minutes go by taxi from Phu Quoc Airport to Moon Resort. We offer 10 rooms and 30 bungalows and a fancy coffee – restaurant where we dish up Western & Vietnamese food on your request! 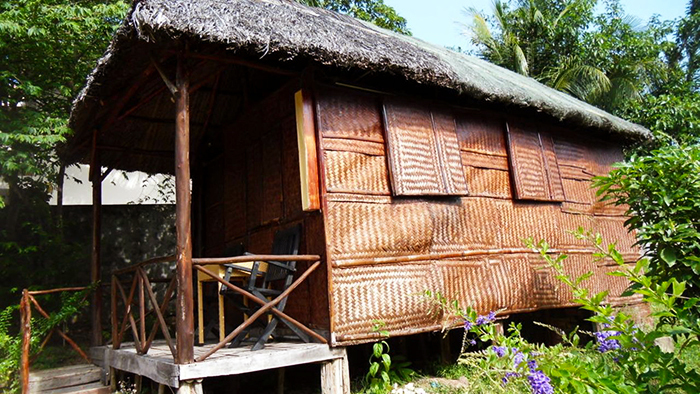 Staying in a bamboo hut is an exciting experience for everybody! 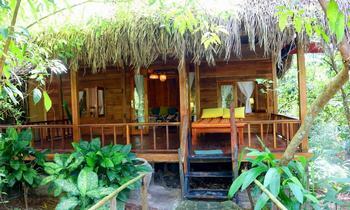 Enjoy the stay in a quiet garden area and hear only the sounds of the waves and the chirping of cicadas at night! We hope to welcome you soon in our resort located right on the white sand Ba Keo beach, near Duong Dong city, just 2 kilometers from the airport. Choose from a wide choice of food and drinks in our restaurant and the bar on the beach. We arrange your birthday parties and other events. Meet nice people from all over the world and become familiar with the Vietnamese way of life! Oh, by the way… there is wifi internet connection available in all rooms and a public PC in the coffee shop. Salt boxes and phone at the reception. Staying at Moon resort, you will be ensured about security as well as the most memorable experience. 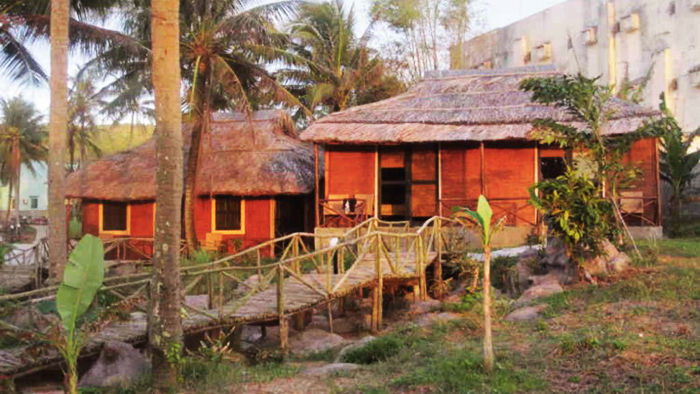 If you need further information about where to stay in Phu Quoc island, feel free to contact us or visit our website. Thank you and hope you will like the island of Phu Quoc.